Only 1 in 3 Americans was able to pass the multiple-choice test required for immigrants applying to become citizens. When quizzed, only 13 percent of Americans knew when the Constitution was ratified, 60 percent didn’t know which countries the United States fought in World War II, and 57 percent couldn’t say how many justices are on the Supreme Court. 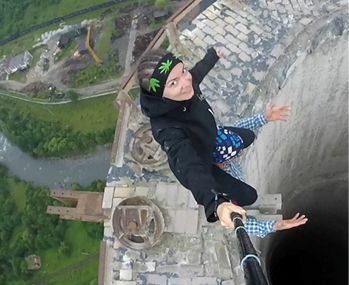 Over the past six years, at least 259 people around the world have died while taking selfies, according to researchers at the All India Institute of Medical Sciences. Drowning was the leading cause of selfie-related deaths, followed by incidents involving transportation—such as taking a selfie in front of an oncoming train—and falling from cliffs, waterfalls, and buildings. The average cost of employer health coverage offered to workers rose to nearly $20,000 for a family plan this year, with annual premiums increasing by 5 percent, according to the nonprofit Kaiser Family Foundation. Once again, employers also increased the deductibles that workers pay, in order to keep premiums from rising even further.